Jenny Butter is an Accredited Senior Coach. She set up Epiphany Life Coaching after living overseas and seeing the amount of stress, disillusionment and burnout there was within the expat community. Wanting to avert this, Jenny uses training and coaching as a preventative and maximising tool. She gets a thrill out of seeing people have an ‘epiphany’ moment. Epiphany Life Coaching clients have come from six continents and all walks of life. They have included companies, charities, and faith-based organisations; leaders to volunteers; youth to retired; vicars to parents; PR directors to clinicians. 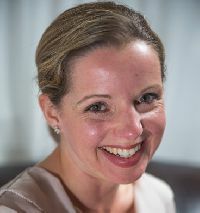 Before becoming an accredited coach, Jenny worked as a BBC radio producer and reporter. Prior to that, she worked for FEBA Radio and was a PR professional with the international aid and development agency, World Vision. She has lived in the Seychelles, Sri Lanka and New York, and currently lives in West Sussex in the UK. This 3 night residential experience is designed to provide a time, space and setting for a personal retreat. You will be with a small group of women with similar yet individually unique motivations and approaches to this retreat. It is primarily individual, though there is an unusual and often profound blessing that comes from being alongside others doing the same thing.